The beautiful beaches of Salento and Puglia are something that you must discover, not only during your holidays in the summer, but also in spring. 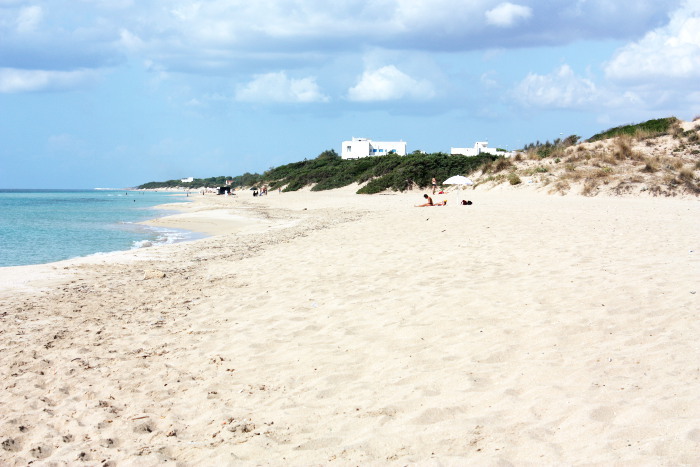 I have written several times on the subject, click here to see all my directions and the places I recommend about Puglia beaches. 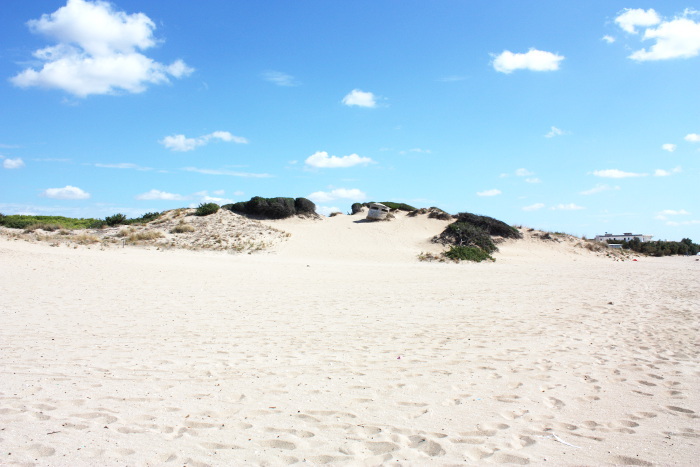 Today I want to bring to your attention the white sandy dunes of San Pietro in Bevagna, north of Porto Cesareo, in the town of Manduria. 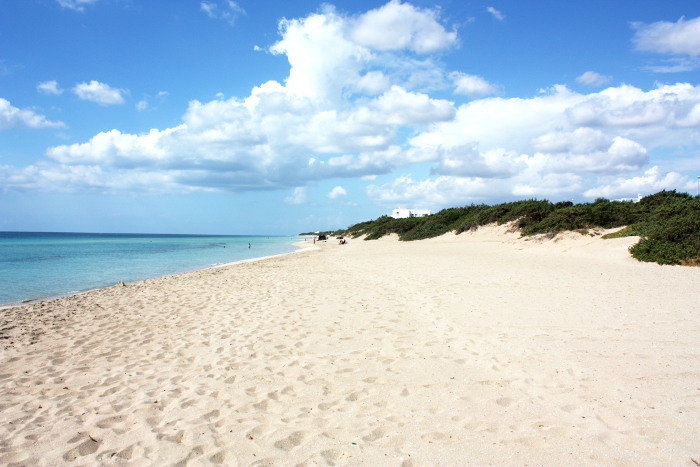 A beach less known than the most famous of Gallipoli, Otranto, Torre dell’Orso, the Maldives of Salento and the same Porto Cesareo, where we have our real estate agency. 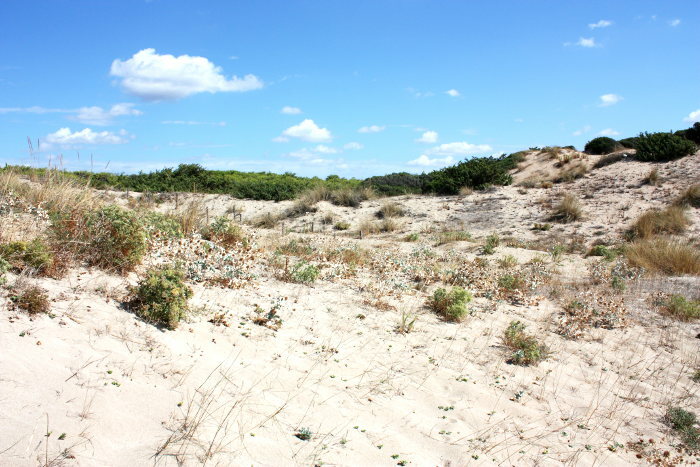 The San Pietro in Bevagna beach is a little over 4 km long. 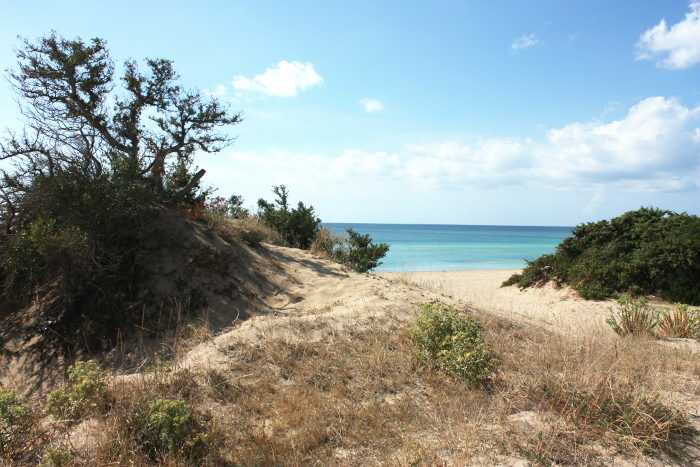 Arriving from the south, from Punta Prosciutto beach and Torre Colimena direction, for several kilometres, the beach is quite near to the coast road, as can be seen in the following picture: the dunes are also near the coast, so you can park where you find a spot, then just walk beyond the dunes and you are already by the sea. The area is called Specchiarica. 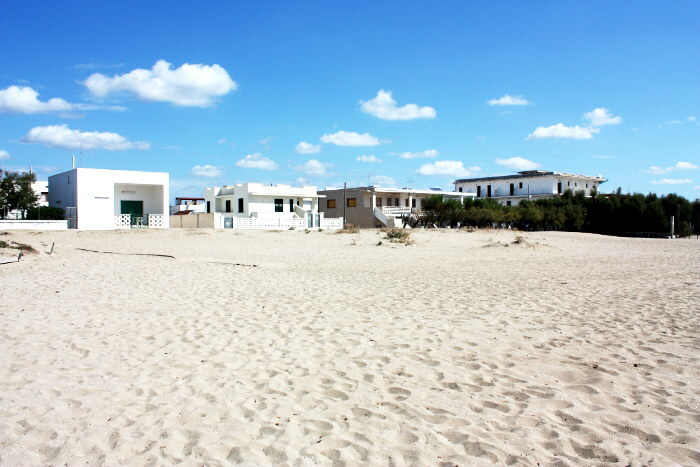 After a few kilometers, however, you enter the actual village of San Pietro in Bevagna, a town of summer residences, typical of the Salento coast, with apartments and houses on the beach. 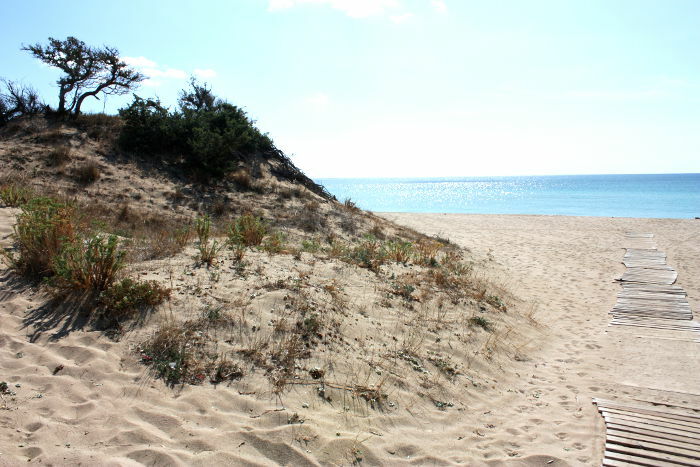 To give you an idea, imagine the beach of Torre Lapillo, if you’ve ever been: here is more or less the same, with cul-de-sac streets terminating just before the dunes, the white sand and clear sea. In the village you will find all the basic amenities such as, supermarkets, bars, pizzerias, restaurants and anything else needed for a short holiday by the sea. 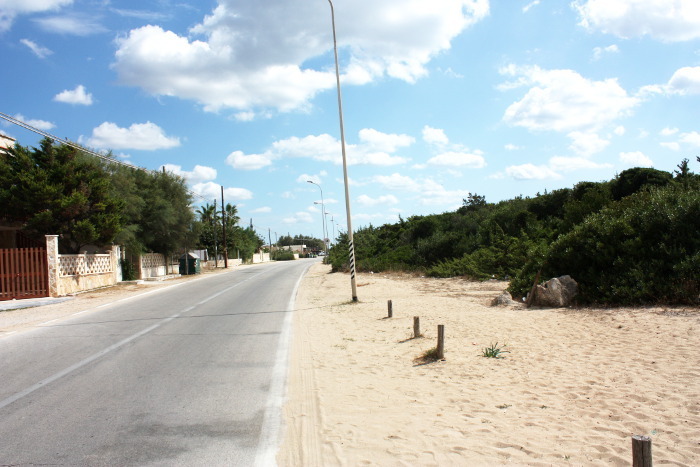 The nearest main seaside town centre is Porto Cesareo where there are restaurants and the best nightlife in the area. There is a legend, about the origin of the area, which links it to the apostle, Saint Peter. 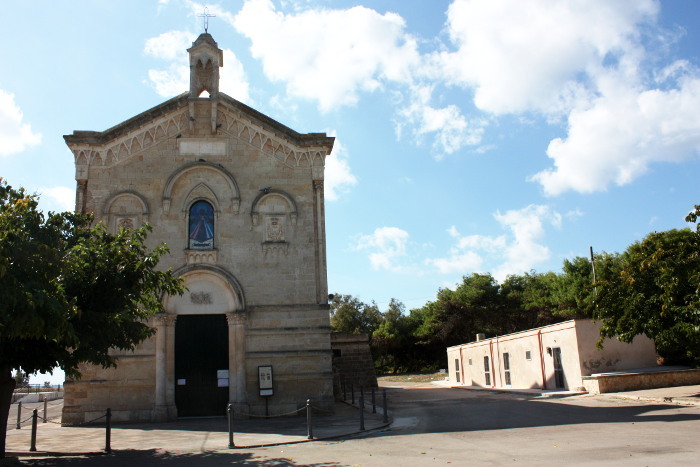 Legend has it that, during a sea voyage, after being caught in a bad storm, St. Peter was shipwrecked on the Ionian coast resort and, more specifically, where the church in the town centre now stands. Tired and thirsty, he noticed a freshwater well, near a statue of a pagan god (supposedly Zeus). On seeing the sculpture, St. Peter made the sign of the cross and, with that gesture, the statue shattered and fell at his feet. The people who witnessed the miracle began to convert to Christianity. Shortly after, St. Peter continued his journey and the village began to be increasingly populated by people coming from afar to visit the holy places in which the Apostle had performed the miracle. The church (Church Rock or Crypt of the Redeemer), which still lies at the centre of the town, is of mystical beauty which you can see at any time [source: Wikipedia]. The following gives an idea of the distances from the main towns. Manduria is less than 12 kilometres away. It’s a town centre to visit, a town of Messapic origin with a strong wine tradition thanks to the “Primitivo di Manduria”, a wine that is famous all over the world. I suggest you make a trip here, there are many wineries offering tastings and tours of the countryside. 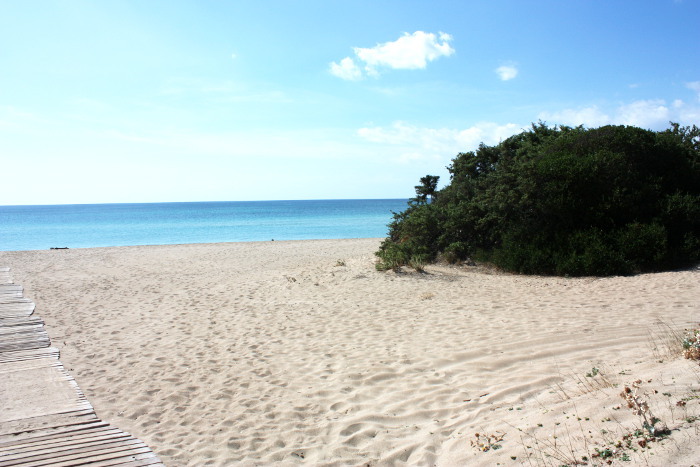 Porto Cesareo, is about 24 kilometres away. 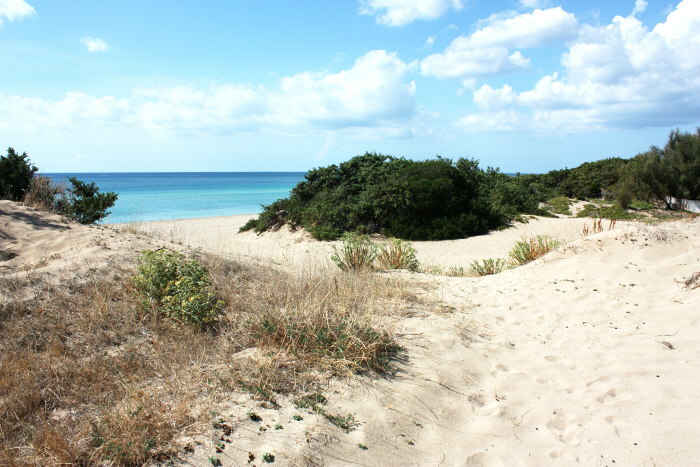 The beauty is that, between San Pietro in Bevagna and Porto Cesareo, there are kilometres of beaches to explore, such as those of Specchiarica, Torre Colimena, Torre Lapillo and Punta Prosciutto. Going instead, towards the north, Campomarino is located about 10 kilometres away, the town has a commercial port and tourist centre and still more beaches to discover. I’ll leave you with some more photos I took in September, a great time to spend holidays in Salento on deserted beaches and in pleasant temperatures! Beautiful is not it? When I took these photographs there was a perfect northerly wind and the sea was completely flat! Happy holidays in Salento. And, please, do ask if you need any more information!